As the saying goes, someone must be in charge. The trustee is the person (or persons up to four) you designate to be in charge of the trust. The trustee can be the person whom you wish to benefit under your will, or even one of the persons for whom the trust is established. The trustee can also be a company. A testamentary discretionary trust established under the will must receive assets under the will. These can include cash, real estate, shares, cars, boats, art works or any chattels you wish. 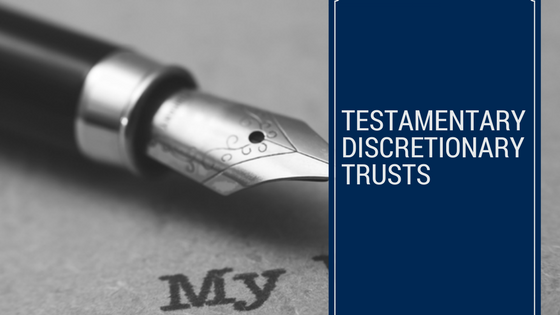 Every testamentary discretionary trust must have beneficiaries who are those persons who may benefit under the trust. There is usually a definition of beneficiaries in a discretionary trust, and could be the person you wish to benefit together with their children, grandchildren and any other specified persons or entities. The trustee of a testamentary discretionary trust has to be given an absolute discretion in distributing some or all of the capital and/or the income of the trust from time to time in various proportions, amounts and categories to the beneficiaries of the trust. In exercising this discretion the trustee decides who gets what and when. This could be important for tax reasons and in the case of proposed beneficiaries who may not be money-wise or who may be easily influenced to their detriment.